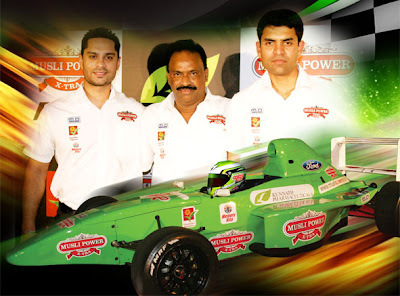 Kunnath Pharmaceuticals, makers of Musli Power X-Tra, creates two-car formula car racing team with Ford engines, motorsport veterans M&N Racing, and two of India’s best drivers, Gaurav Gill and Arjun Balu. For car racing enthusiasts in the state, it is a dream come true. Though their state of Kerala is a state of sports and auto enthusiasts, it could never aspire to be a player like Gurgaon or Chennai when it came to formula car racing. Forget even plans for a race track, the state didn’t even have a team to compete in formula car racing, which is a younger sibling of the acclaimed Formula 1 format. But that didn’t prevent Dr. KC Abraham, a Keralite businessman, to boldly go in for his own team when an opportunity presented itself recently. Dr. Abraham is the founder of Kunnath Pharmaceuticals and the patent-holding inventor of Kunnath’s blockbuster ayurvedic performance formulation, Musli Power X-Tra. 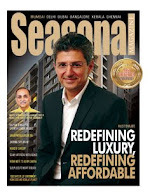 Dr. Abraham was speaking to Seasonal Magazine after the launch of the team in Kochi recently. The whole team consisting of managers, drivers, and support team was here on 29th January, together with team’s formula racing car. Jose is a long-term racing enthusiast and has some wins to his credit including one in Maruti Suzuki Cochin Autocross, which is a tarmac race conducted in Cochin International Airport. With his initiative, Dr. KC Abraham has succeeded in overtaking several older home-grown consumer brands in Kerala in bringing a formula racing team to the state. No effort has been spared by the team in selecting ace drivers for the team. 35-year old Arjun Balu is one of India’s best known rally drivers, and has to his credit winning the AZRC Rally Of China, and has been five times national runner-up. One of his recent wins has been the K-1000 Rally of Bangalore in 2009. Known for his long experience and steady driving, Balu hails from Coimbatore. Team Musli Power X-Tra’s other driver, Gaurav Gill is one of India's leading rally drivers. The 29-year old from Delhi is a past winner of India's National Rally Championship, National Road Racing Championship and FIA APRC Rally in Indonesia, and is known as an aggressive driver. Though both drivers are from outside the state, both share a special relationship with Kerala in that both of them have won major motorsports events in Kochi, which is also the headquarters of Kunnath Pharmaceuticals. Musli Power X-Tra stands to gain much from the formula race, apart from the extensive brand visibility, as it will be working closely with world renowned auto brands like Ford, which is supplying the engines for the two-car team. Musli Power X-Tra Racing Team will compete in the MRF Formula Championship 2011 which is an official support race to the 2011 Formula One Grand Prix of India. The race will be held at Chennai and is schedule to start on 5th and 6th of February followed by races on 12th and 13th February 2011, with a total race of six numbers. The team is also participating in two more races on 29th and 30th October 2011 in Delhi, prior to the Grand Prix. Musli Power XTra has always been associated with high value sports promotions. Since its beginning, Kunnath Pharmaceuticals has donated substantial amounts to the promotion and development of sports, youth and cultural activities in the nation. The company is sharply focused on what will take Indian sport ahead, and at helping individuals realize their sporting ambitions. Musli Power X-tra was the Official Licensee for Health Power in the 2010 Delhi Commonwealth Games. Apart from this, the brand is the main sponsor of the Indian football club, Churchill Brothers of Goa; title sponsor of Sri Lanka based Wayamba Elevens T20 Cricket team; Kerala State Athletics Association, and Kerala based football team Viva Kerala.